Two Worlds United Summer Group Programs are design to allow students to form a group that will travel abroad with a teacher or other adult leader. All group programs include placement in host families, and in non-English speaking countries the option of participation in intensive language classes is available. 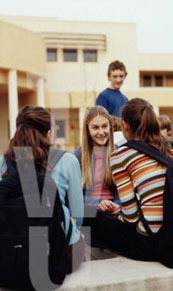 Group programs generally last from two to four weeks and the groups select their own dates within program parameters. Group programs offer a rare opportunity for groups to travel abroad with the opportunity to live with a host family during their visit. Each group member stays within a carefully selected host family allowing the students to experience first hand with people of different cultures to interact and share their cultures. Larger groups are divided to stay with many host families within the same area, and group members meet together at scheduled times for group cultural excursions and activities. Group programs are individually routed according to each particular group, for more information and to discuss the details of group programs please contact the Two Worlds United Admissions Department.